If you have been following my blog for more than three months, you should have read this before. 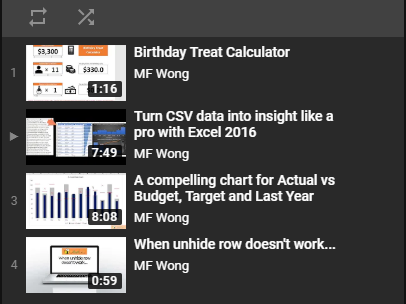 If you wonder why I am reposting it again and again (Yes, this is the 3rd time I write about Mynda’s Excel Dashboard webinars and courses), the answer is simple: it is awesome. If you are serious in taking your Excel skills to the next level, you should really take time to learn more about Excel Dashboard. If you’re not sure what a dashboard is, or how these skills might be relevant to you, or you think Excel Dashboard is too advance for you, then you can attend one or both of Mynda’s FREE Excel Dashboard Webinars. You will be surprised that it is less difficult than you may have thought about. Nevertheless, you are expected to know Pivot Table. The first webinar will teach you how to use Excel to build this interactive dashboard below, no additional software or add-ins required, just plain old Excel and some data. If you have Excel 2010, 2013 or 2016* then this webinar will showcase how you can use Excel’s Power Query tool to get data from multiple sources, mash it up with Power Pivot, analyse it in PivotTables to create this interactive Excel Dashboard. * Power Query is available with the desktop version of Excel 2010, 2013 or 2016, or Office 365 ProPlus. 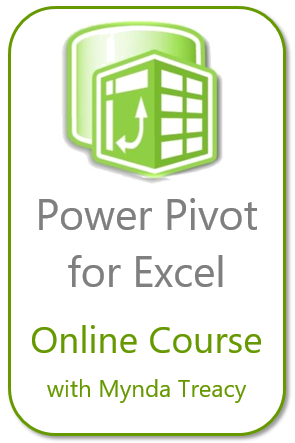 Power Pivot is available with the desktop version of Excel 2010 or Excel 2013/2016 Office Professional Plus, Excel 2016 Professional, Office 365 ProPlus, or in the standalone editions of Excel 2013/2016. By the way, did you know that Power Query is “renamed” to Get and Transform in Excel 2016? So, do yourself a favour and Click here to sign up for the Webinars. This entry was posted in General and tagged Dashboard, Training. Bookmark the permalink.